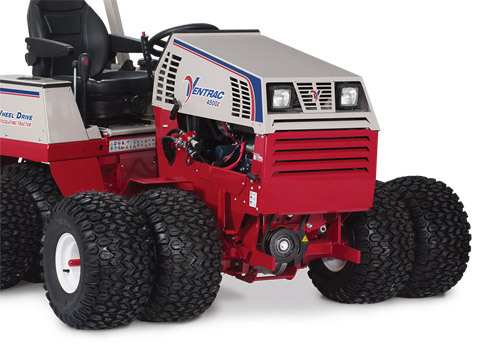 The Ventrac tractor frame articulates and oscillates in the center giving it incredible flexibility, gentle touch on turf, and an advantage on slopes and rough terrain by keeping all four tires in contact with the ground all the time. 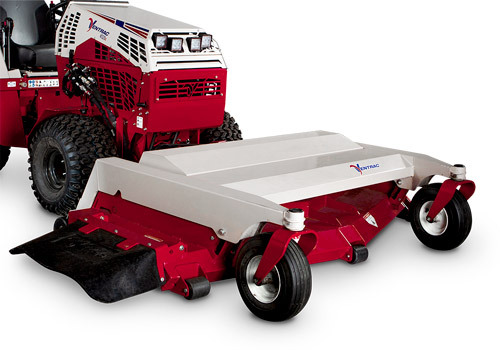 An articulating tractor has superior turning capabilities when compared to a traditional fixed frame tractor. 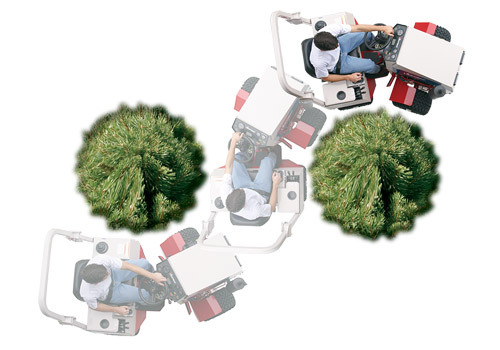 The front and rear frame of the tractor oscillate independently of each other. 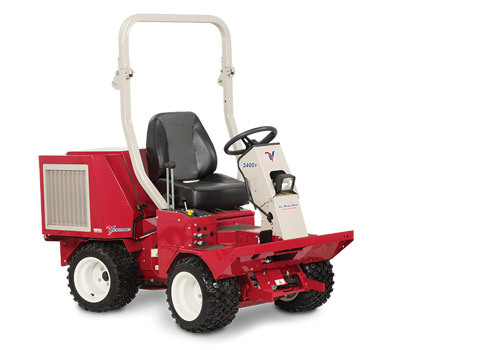 This allows the tractor to adapt to rough terrain while giving all four tires more consistent contact with the ground. The tractor frame pivots in the center, allowing the rear tires to follow the same path as the front tires. 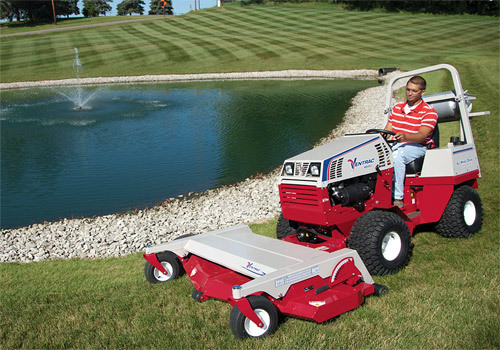 This allows the tractor to easily navigate around obstacles and without damage to the turf. 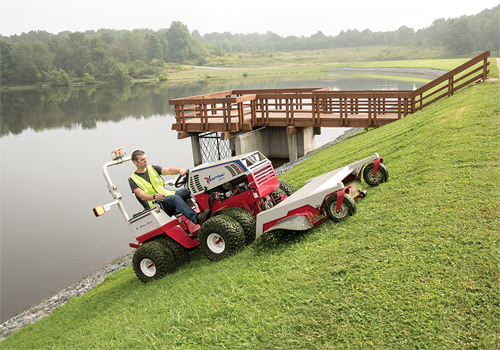 Unlike a zero turn mower, skid-steer, or straight frame tractor the rear wheels of an articulated tractor follow the same path of the front wheels. 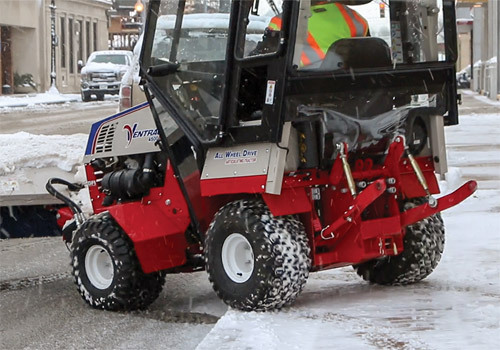 Result: Front or rear attachments follow the same path as the tractor, minimizing the space required to turn and reducing the likelihood of hitting an obstacle. 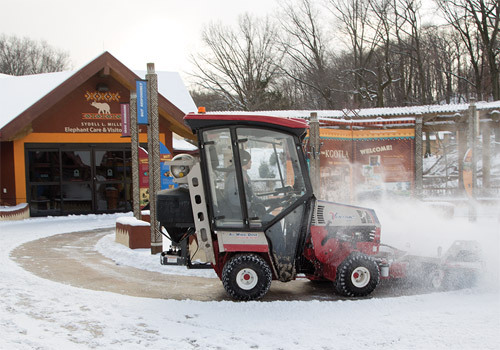 An articulated tractor with an oscillating frame keeps all 4 drive tires on the ground even on the roughest of terrain. Result: Maximum traction when you need it the most, increasing your agility and safety on slopes and rough terrain. Not only do the rear tires follow the path of the front tires, but the tires at the outside of the turning circle always travel at the appropriate speed relative to the tires at the inside of the turning circle. Result: Reduced turf disturbance, helping you to maintain a healthier lawn.